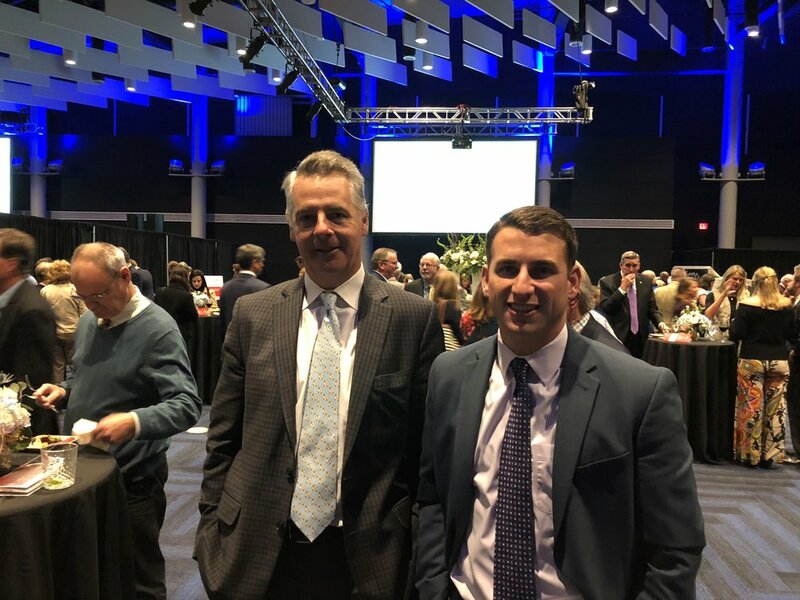 Thompson Davis was proud to participate in “Alzheimer’s Day in RVA,” presented by the Rick Sharp Alzheimer’s Foundation at the Science Museum of Virginia last week. The firm was among numerous ambassadors supporting the cause with a table at the event. Keynote speaker Rudy Tanzi, Ph.D., who is Vice Chair of Neurology and Director of the Genetics and Aging Research Unit at Massachusetts General Hospital, shared the latest progress in the fight to cure Alzheimer’s disease. Dr. Tanzi is the Joseph P. and Rose F. Kennedy Professor of Neurology at Harvard University and has been at the forefront of Alzheimer’s research. He and his team have been able to take human stem cells from skin or another part of the body and reprogram them to grow into miniature human brains. This has allowed the team to better understand how Alzheimer’s progresses and how the brain’s immune response, inflammation, can negatively impact cognitive ability. Proceeds from the event will benefit the non-profit Cure Alzheimer’s Fund.